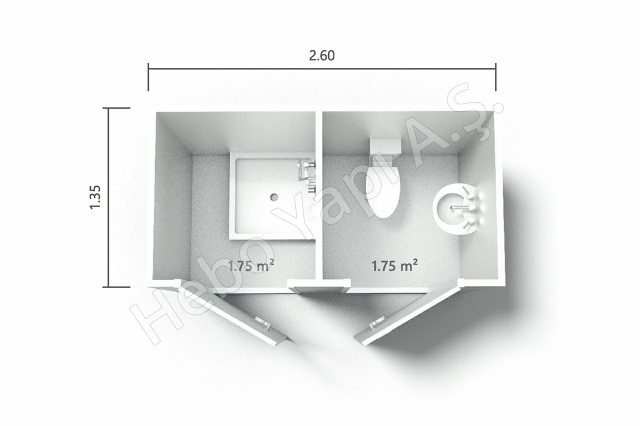 HEBO WC-SHOW Cabins are a product of advanced technology and contemporary design concept. 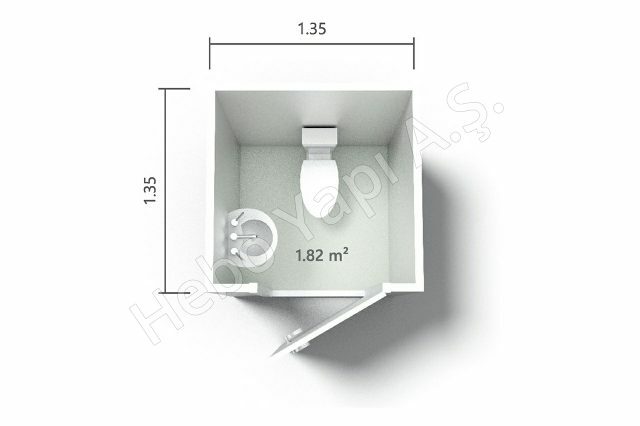 Our WC-Shower Units are manufactured using light steel technology. It is very strong thanks to its strong steel construction. It is convenient to relocate and relocate frequently. 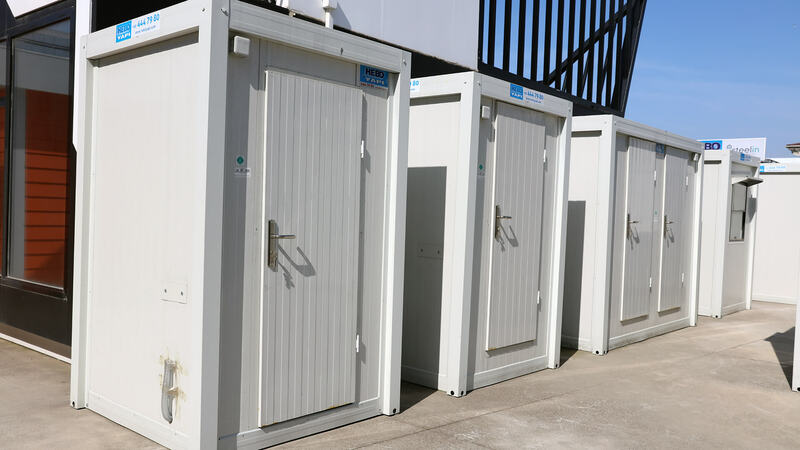 Thanks to its lightness, durability and easy portability, WC-Shower Cabins, which are produced with advanced technology and ready to use in modern facilities, can be used in all kinds of fairs, congresses, seminars, concerts and picnic organizations in construction sites, beaches, public facilities, social facilities, sports organizations, parks and gardens, can be used with ease. 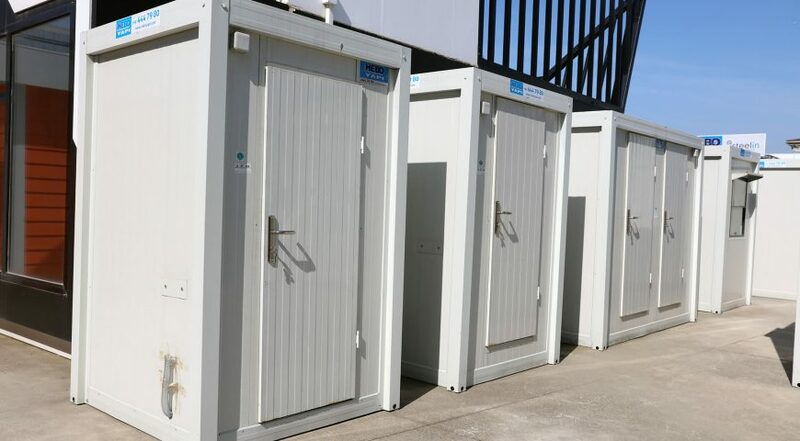 Since the designs of the cabins are suitable for making multi-group WC or shower units, they are suitable to meet the needs in large sites, crowded organizations and construction sites where more workers are working. 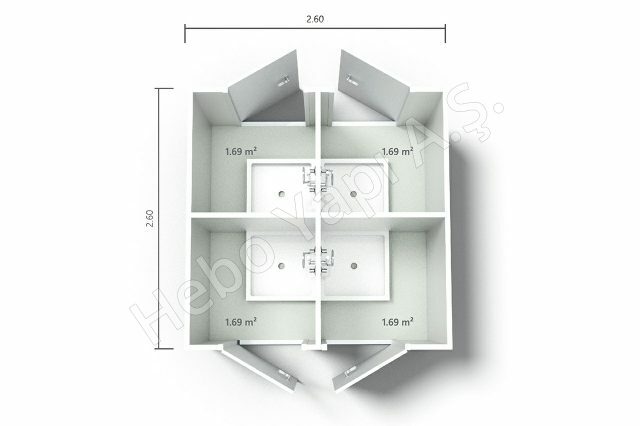 In addition, the WC shower cubicles have superior sound and heat isolation. It is washable, it does not rot, it is stainless, it is easily cleaned. It has anticorrosive properties. 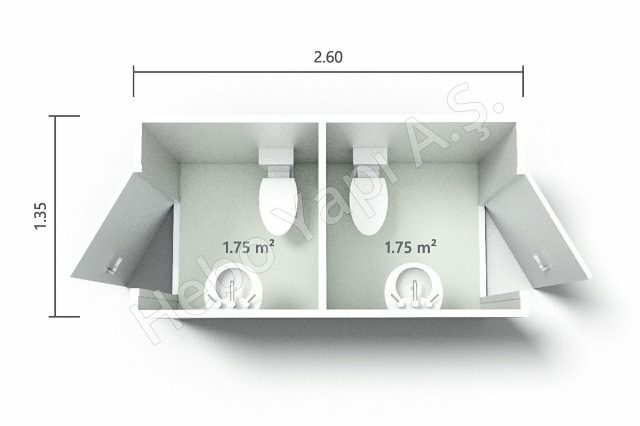 All of our modular WC shower cabins have mirror, washbasin, alaturka or alafranga WC, paper, etajer, closet cover, soap dish and aspirator, automatic fuse, socket key, cable system and lighting fixtures. 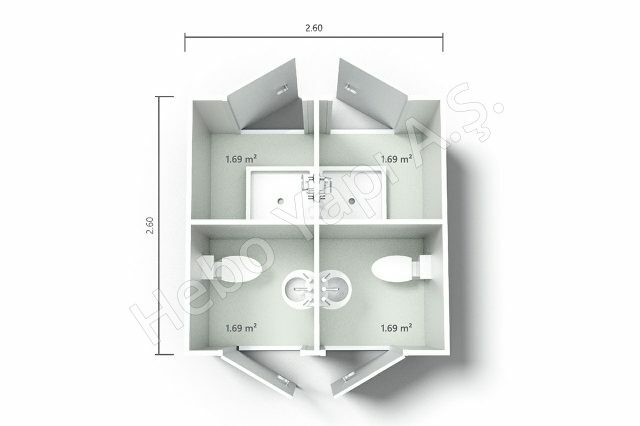 The sanitary and electrical wiring inside the cabins is prepared from our side. Apart from our standard cabins, cabin productions are made in different sizes through specialist technical cadres in line with different customer needs. Special solutions are available for disabled citizens. 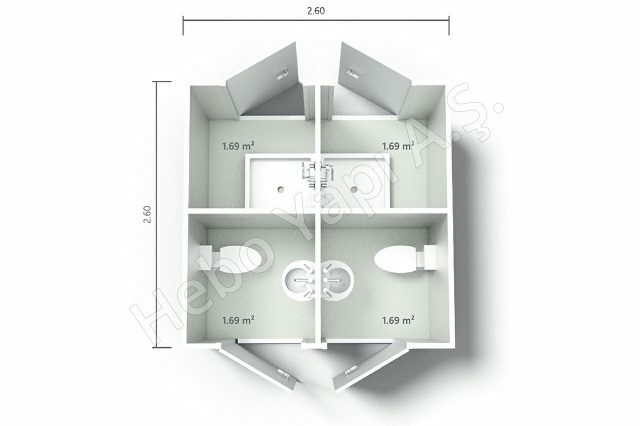 Special WC cabin designs that we have made for the disabled are carried out by taking into account the choice of doors, ramp curvature, accessory varieties and suitable materials for the physically challenged standards. Ceramic material is applied to disabled WC floor coverings because they are easily cleanable and durable. Stainless steel is used for hand wash locations; the bottom surface must be protected from burning. 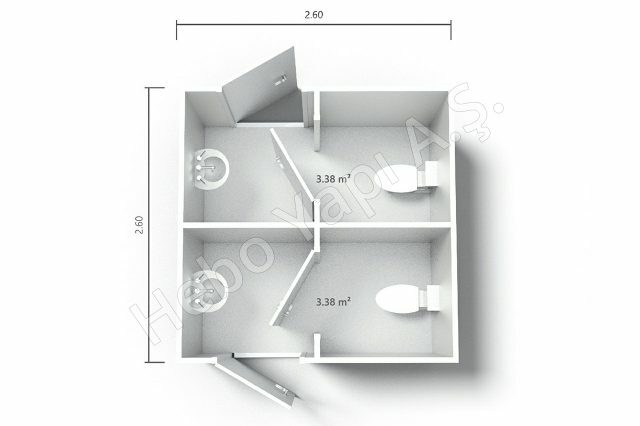 Toilet seats and other accessories are preferred for products designed specifically for disabled citizens. Hangers must have hooks for walking sticks. 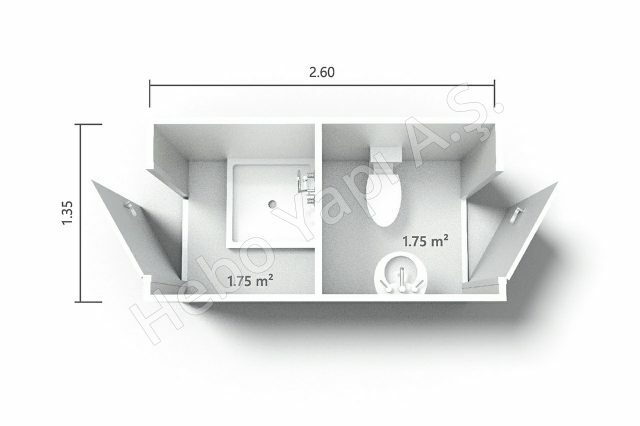 A mirror and shelf in wheelchair designs may be desirable.